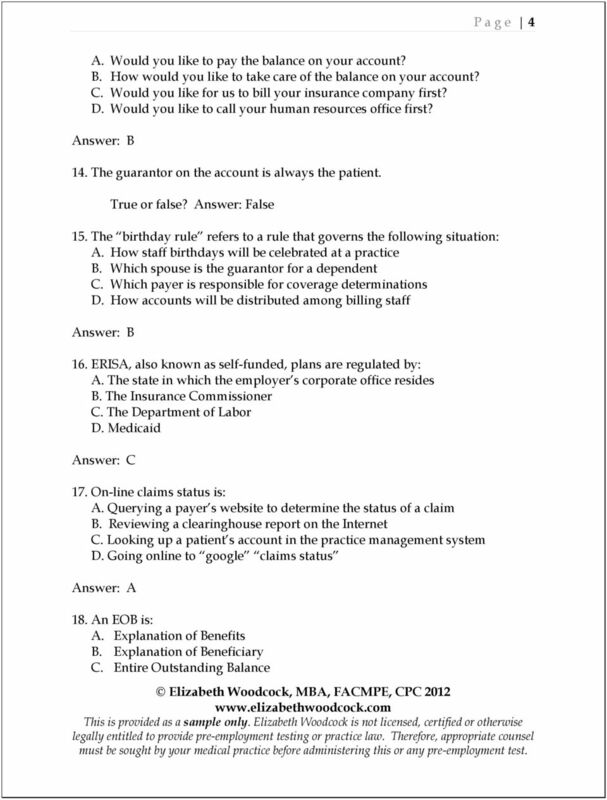 Download "Pre-Employment Test for Business Office Staff Answer Key"
1 P a g e 1 Pre-Employment Test for Business Office Staff Answer Key 1. Mr. Walker owes $ His health plan requires a 20% coinsurance. How much does he owe? 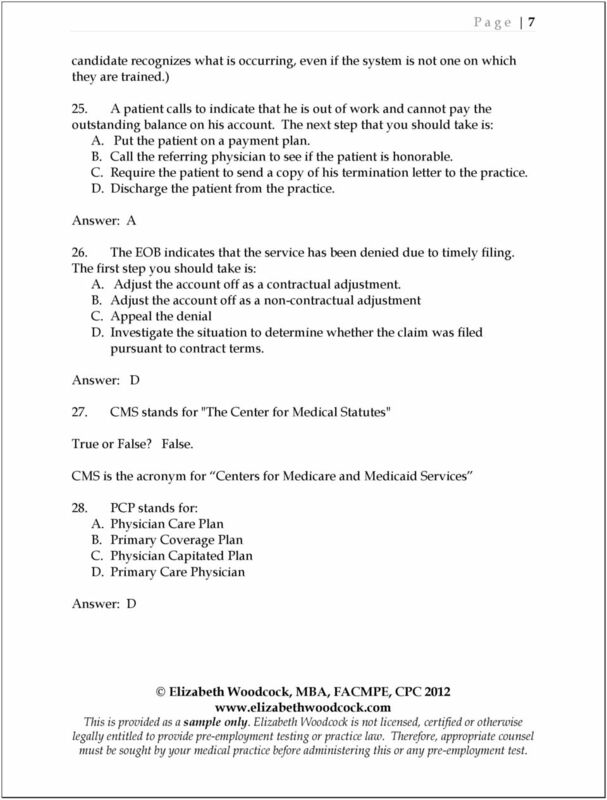 Answer: $ Scenario: Your practice submits a claim on behalf of a patient with whose insurance company your physician does not participate. 60 days have elapsed. During that time, you have called the insurance company three times. What action should you take next? Answer: Contact the patient to apprise him/her of the situation, and that he/she (or the guarantor) is responsible for the bill. Transfer the balance to the guarantor immediately, sending a statement for the full balance to the guarantor. is that the candidate identified that the physician does not participate with the insurance, and that the balance should be immediately transferred to the guarantor of the account.) 3. The fee for Mrs. Smith s service is $400 but the allowable rate that has been negotiated between the practice and the insurance company is $ Mrs. Smith has not yet met her $500 deductible. How much does she owe? 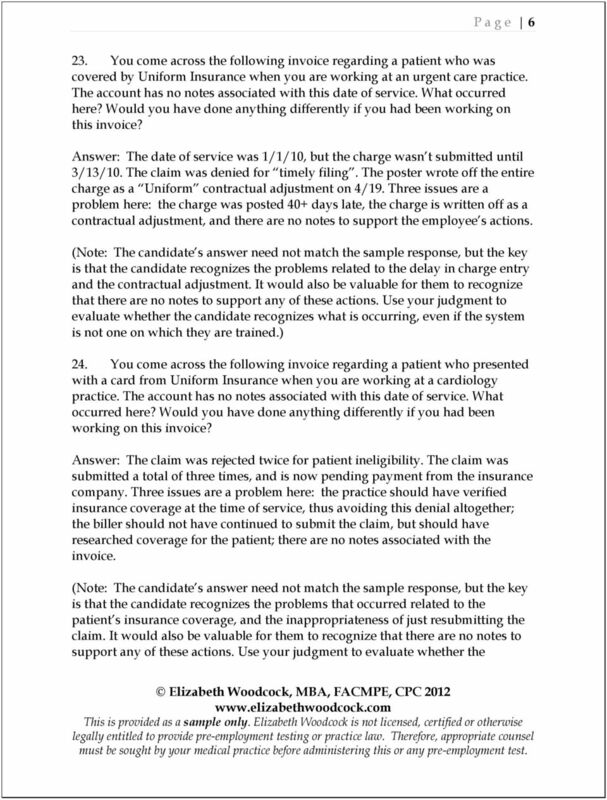 Answer: $ Scenario: You discover a charge that was written off as bad debt last year, but the patient has since been seen in the practice and paid for her current charges. What action should you take? 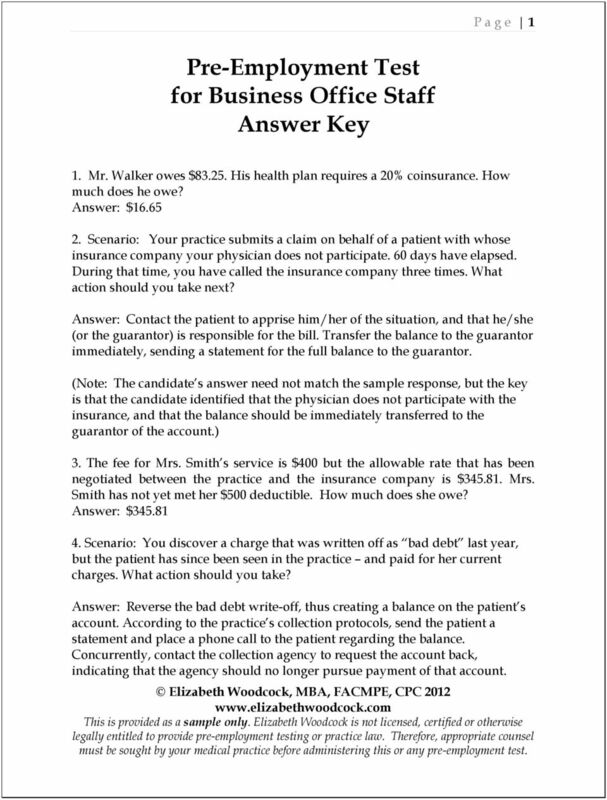 Answer: Reverse the bad debt write-off, thus creating a balance on the patient s account. According to the practice s collection protocols, send the patient a statement and place a phone call to the patient regarding the balance. Concurrently, contact the collection agency to request the account back, indicating that the agency should no longer pursue payment of that account. 2 P a g e 2 is that the candidate recognizes that bad debt can be reversed, and payment should be pursued.) 5. NPI is an acronym for: A. 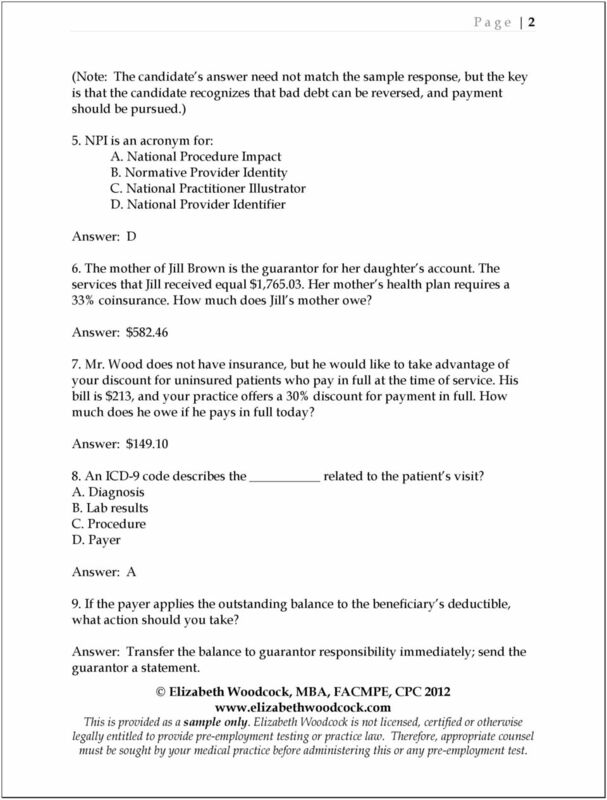 National Procedure Impact B. Normative Provider Identity C. National Practitioner Illustrator D. National Provider Identifier 6. The mother of Jill Brown is the guarantor for her daughter s account. The services that Jill received equal $1, Her mother s health plan requires a 33% coinsurance. How much does Jill s mother owe? Answer: $ Mr. Wood does not have insurance, but he would like to take advantage of your discount for uninsured patients who pay in full at the time of service. His bill is $213, and your practice offers a 30% discount for payment in full. How much does he owe if he pays in full today? 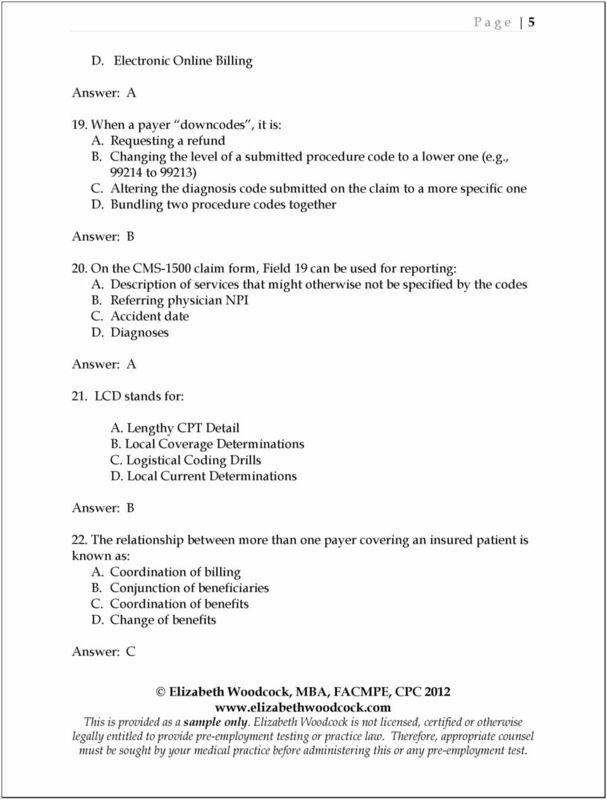 Answer: $ An ICD-9 code describes the related to the patient s visit? A. Diagnosis B. Lab results C. Procedure D. Payer 9. If the payer applies the outstanding balance to the beneficiary s deductible, what action should you take? Answer: Transfer the balance to guarantor responsibility immediately; send the guarantor a statement. Glossary of Billing Terms Guide to Reading & Understanding Your Bill Account Number - number the patient's visit (account) is given by the hospital or medical provider for documentation and billing purposes. C. This policy defines how AHC communicates to patients regarding amounts due for services rendered by AHC. The following online training module will provide a general overview of the Vanderbilt University Medical Center s (VUMC) technical revenue cycle. Questions On Charges For The Uninsured. 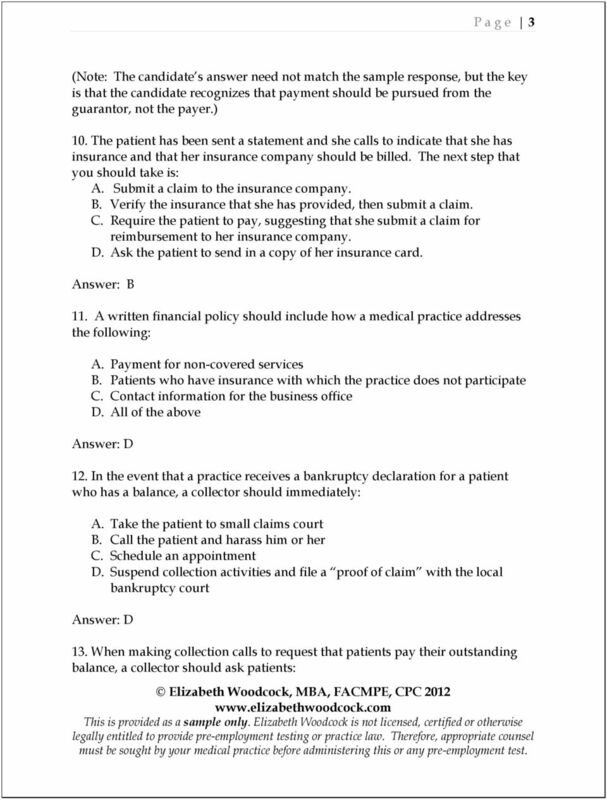 Q1: Can a hospital waive collection of charges to an indigent, uninsured individual? New. INHS will make best efforts to obtain cost reimbursement for any portion of uncollectible bad debt attributable to Medicare beneficiaries. REIMBURSEMENT IN THE FSEC WORLD. Everyone is jumping on!